Contractors have long understood the benefits of renting powered access platforms as specialist kit for occasional jobs. But if you find yourself increasingly working at height, the business case for owning access platforms soon stacks up. The traditional route is often to buy new machines, but there’s also a huge UK market in pre-owned platforms. 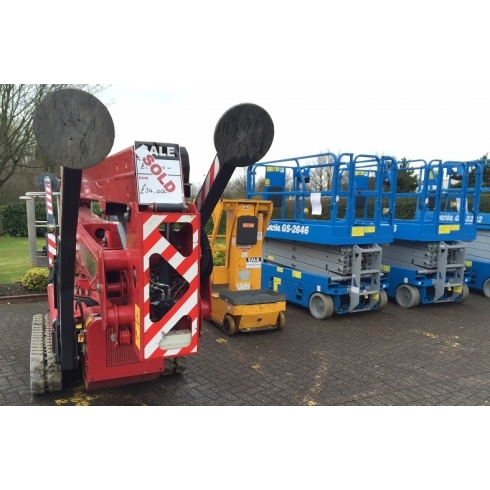 If you can avoid the obvious pitfalls, buying used access equipment can offer huge savings - and a far better return on investment. 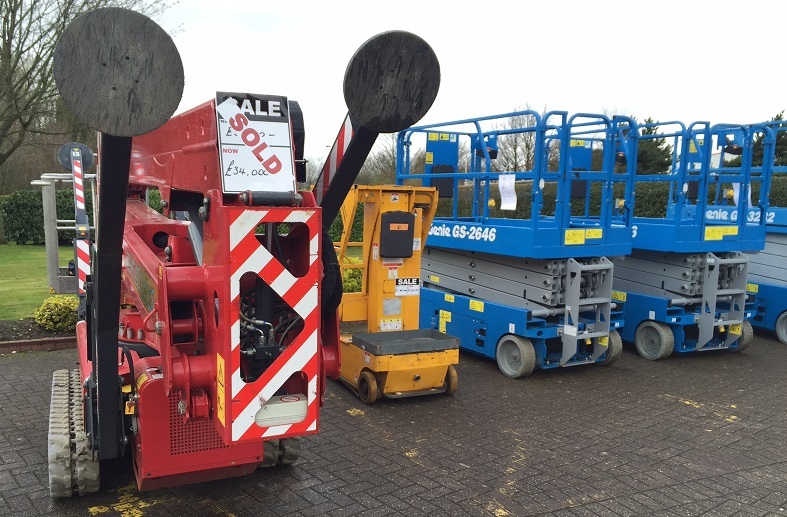 Most second-hand access platforms in the UK come from hire and rental companies who are selling off older machines to refresh their fleets. Some sell direct, some put job lots through auction houses like Iron Planet, and others sell their old kit to used equipment dealers. While you can pick up a bargain from an auction or a website such as eBay or Gumtree, these are often ‘sold as seen’, which can be a risky business. How old is it, what was it used for, and what hours are on the clock? Knowing what the machine was used for will help understand how hard it’s been worked. Compare the number of hours of operation against the age of the machine - access platforms with fewer hours on the clock will usually have less wear and tear. Does it have an Operator’s Manual? UK law mandates that the operator’s manual must be present at all times, so if it doesn’t have one, you should find out how easy it is to get a replacement. Does it come with a full service and inspection history? Under LOLER 98 legislation, all access platforms have to undergo a Thorough Inspection every six months (see side panel) and the owner is obliged to hand over this paperwork at point of sale, so ask to see the documentation. This will also flag up any historical issues with the machine. How easy is it to find spare parts? Popular models from brands like Genie are more likely to have readily available, competitively priced parts. Machines from lesser known brands, or that are obsolete, usually means that parts will be harder to find, more expensive, and have longer lead times. Before you buy, it is worth contacting an access parts specialist, such as Telford-based IPS, to check on parts pricing and availability. What are the payment and delivery terms and conditions? Always make sure you fully understand the T&Cs before you agree to buy. This avoids hidden extra costs such as delivery charges. 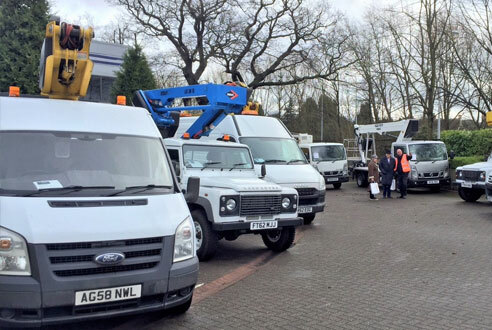 A more sensible approach can be to buy direct from the hire company, or better yet, a specialist used equipment vendor. Dealers may charge slightly more for pre-owned kit than auctions, but it is likely to be in better condition - and crucially will often come with a warranty, or an option to buy one. The biggest bonus is that you can take the machine for a proper test drive. Don’t just spin it once around the yard or car park – make sure you try out every lift function and all the speed settings. An additional benefit of buying from second hand dealers is that they may offer finance packages and even the option to trade in any old platforms you have. The best used equipment vendors will also provide refurbishment packages that give really clear guidance on the state of the machine. For example, Access Platform Sales (APS) is a nationwide distributor that can provide machines refurbished to three specific standards: Bronze, Silver and Gold. Bronze standard ensures the equipment is compliant with UK law; Silver gives them a new lease of life; and Gold means they almost as good as new. Access platforms are classed as lifting equipment and are therefore subject to the Lifting Operations and Lifting Equipment Regulations 98 (LOLER). When you hire powered access machines, this legal obligation is fulfilled by the rental company. If you buy the kit, it becomes your responsibility. As owners and operators you have a legal duty to ensure that all of your access platforms are in perfect working order. UK government legislation states that the employer or owner is responsible for any lifting equipment on site and is legally obliged to maintain it in a safe working condition for the operator. Twice a year, a qualified person must carry out what is called a Thorough Examination of your powered access platforms. If the machine passes the examination, it receives a Report of Thorough Examination, in the same way as your car or van receives an MoT certificate. You are obliged to keep each report on file and make it readily available on request. Also remember to ensure that all operators have the appropriate qualifications. A good used equipment dealer can provide both the bi-annual Thorough Examinations and IPAF-approved operator training.